Pre-operative consent discussion and documentation is an essential process that should follow relevant guidance, and include all serious or frequently occurring risks. We assessed the appropriateness of consent for grommet insertion, tonsillectomy, septoplasty, and hemithyroidectomy, by comparing the risks listed in current consenting practice to published complication data for the relevant operation. 120 consent forms and associated clinic letters were analysed. A literature search identified published complication data for comparison. There was great variation in consent practice for each operation type, and poor correlation with published risk incidence. 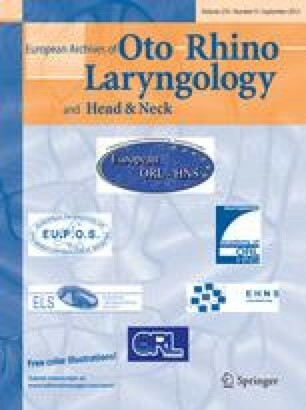 Only ‘bleeding’ post-tonsillectomy and ‘recurrent laryngeal nerve injury’ post hemithyroidectomy were listed in 100 % of relevant cases. Common and serious complications were frequently omitted from forms. The number and type of risks consented for a procedure significantly differed between consultant and non-consultant staff. The potential requirement for blood transfusion was discussed in only 20 % of tonsillectomy cases. Currently, the pre-operative consent for commonly performed ENT operations does not reflect operative risks. Consenting for surgical complications should be evidence based using published or personal data. A change in the consent process is required to protect patient autonomy and meet both legal and professional body requirements.